Every single image I give you is individually finished and proofed in a fully calibrated workflow. Print orders are then sent to be professionally printed at a giclee specialist laboratory. Giclee refers to high resolution printing of images with archival inks on fine art papers, giving exceptional quality and far longer life span than standard desktop or high street prints. Modern giclee printing achieves superb yet affordable gallery-standard images that will be admired on your walls for years to come. Photographs take on a whole new feel when printed on archival art papers with lovely velvety inks and unrivalled tonal range - both black and white and colour images are transformed, breathing with life and warmth. Most of my family prints are produced by Gordon Burns at his pro-lab Skylight Publishing in Calne. For designer products I use the incredible GraphiStudio, and Ultimat who also supply my lovely frames. All sizes below are in inches. The images you select will be beautifully printed and mounted on high quality micron board in textured off-white. Below are some standard sizes as a guide, but any size can be accommodated including one-off bespoke orders. 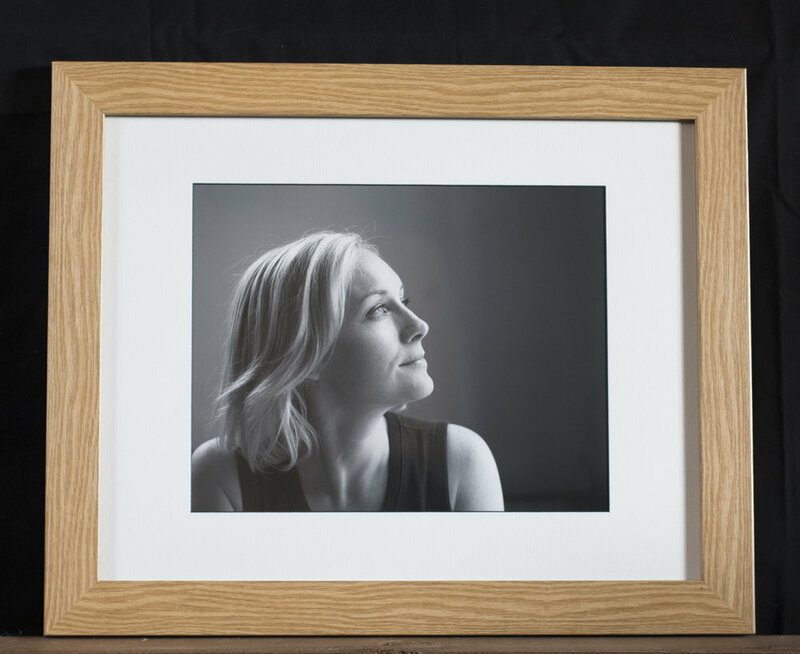 A beautiful, classic way to keep your memories, each fine art image comes with its own slip mount in a choice of Ivory or Black, encased in a hand crafted black presentation box. Mounts and frame style and size options depend on your personal taste and the environment in which the picture/s will hang. * These sizes come with stand backs (so can be freestanding) as well as hanging widget. Larger sizes are for hanging only. Range of Designer frames, art mounts and wall art, guide price £250 for 24x20 luxury designer frame with mounted 18 x 12 fine art print. Range of Designer canvas options, guide price £350 for 24x20". Vouchers are a perfect gift for any occasion! Available in multiples of £25, or for any specific product amount such as a framed fine art print, they can be used against any package, commission or prints /products and have no expiry date - so you can take your time deciding what you want.